If you prefer Marvel superheroes, they also sell their comics in digital format. You can have a look at their online shop here. Alternatively, I believe you can access them all for free if you are in a Starbucks! A human so self willed.. so drawn to darkness.. It is her purpose to life rebels up.. So states the blurb on the back of the book. 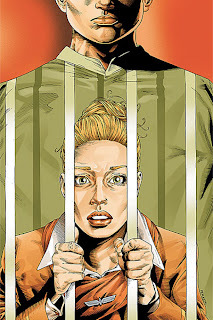 This is the story of a Supergirl - not Clark Kent's younger cousin, but a character called Linda Danvers who bonded with a creature called Matrix. Every year, on the first Saturday of May, (May 7th this year, and in just a few week's time!) 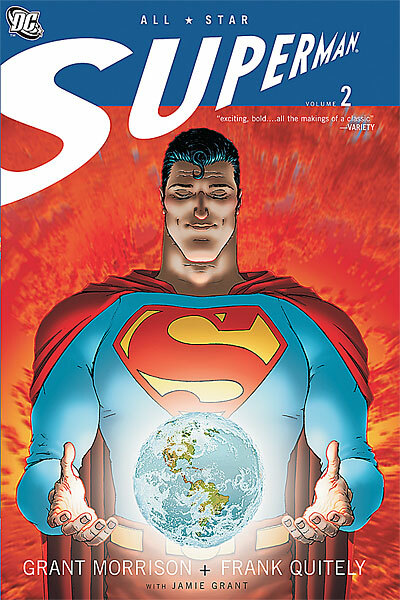 there is an event called Free Comic Book Day (FCBD). This is exactly what it sounds like - an opportunity to get comics for free! All you need to do is go into a comic shop, or other participating venue, (for example my local library takes part), and they will give a selection of free comics. These free comics are ones specially produced for FCBD - in other words, you can't pick just anything from the shop and expect not to pay for it. Oh yeah, Morning Glory is not your usual school. 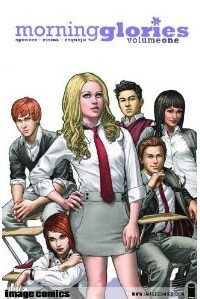 The teachers have an agenda, the other students seem to be in on the plot and the six new attendees are soon fighting for their lives. 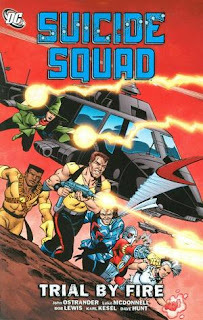 The Suicide Squad are a motley bunch of (mostly) supervillains looking for a chance to get a government pardon by joining a secret government group, more formally named Task Force X. Task Force X was first established in World War 2, the members names themselves Suicide Squad once they realised the sort of work they were being asked to do. It’s not pretty, it’s not glamorous and it sure as hell isn’t safe. Now, with a brand new roster, the Squad is sent on dangerous, politically sensitive and unpopular missions to deal with superpowered threats. Members are utterly disposable and utterly deniable. 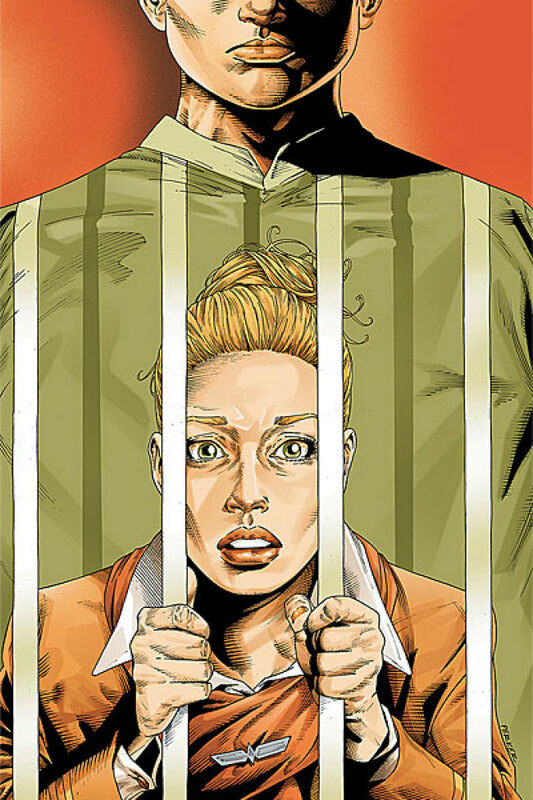 The formidable Amanda Waller, otherwise known as ‘The Wall’, controls the group, and she makes sure people do what she wants, when she wants, as she wants. Quickly, Blythe meets a very strange mysterious man, named Zayn (or is it..? 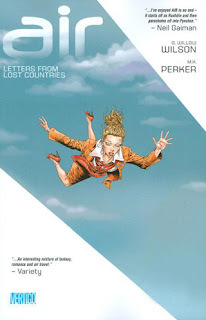 ), finds herself in the middle of terrorism plots lead by the Etesians, sky pirates/vigilantes and witnesses the discovery of the hyperpraxis, a new science, a revolution that might just change humanity's relation to technology itself. Air is all about its characters and their relationships, all sorts of relationships! It covers the relations we have with technology, and also the relations we form with myths, our world, pictures and words. Air is all about the all encompassing air we share, the very space of it and the different sort of things that occupy it. Time. Memories. Simply put, Air is a modern tale of myths and legends. As the story goes, the supernatural occupies more and more of the scene, fantasy elements enter and alongside this our main characters develop and grow. Today's review comes courtesy of Alexander Lyons. Alex is a UK-based feminist theorist with a speciality in identity politics and poststructuralism in comics. 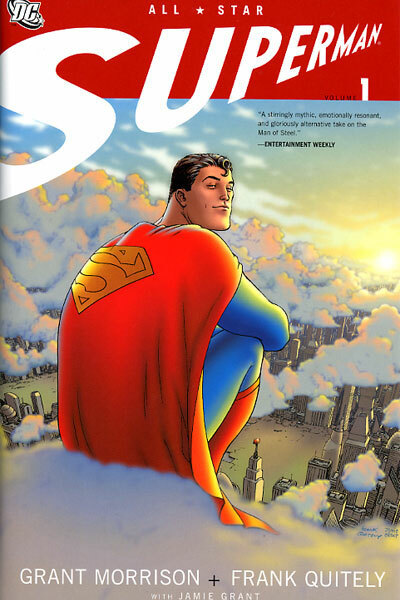 He's got a weak-spot for Greg Rucka, Wonder Woman, and the obscure ramblings of Helene Cixous. You can find his own ramblings on Twitter. He has very curly hair. 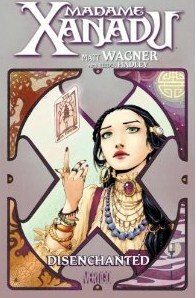 Madame Xanadu tells the story of Nimue; ancient and immortal daughter of the homo magi - a magical race of fairy living alongside mankind. She is the youngest of three sisters, and rival to her middle sister, Morgana, with whom she develops a conflict that spans centuries. Nimue is blessed with, among other things, the magical gift of divination, and uses her skills to predict and intervene in the fate of mankind. As the series proceeds, Nimue learns to use her powers to aid people in need, becoming a sort of supernatural heroine for people with extraordinary problems. 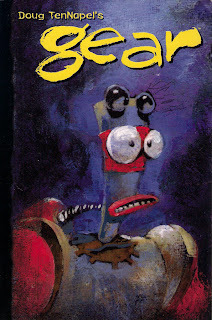 Gear is a fantasy/scifi tale done by the very talented famous cartoonist Doug TenNapel. 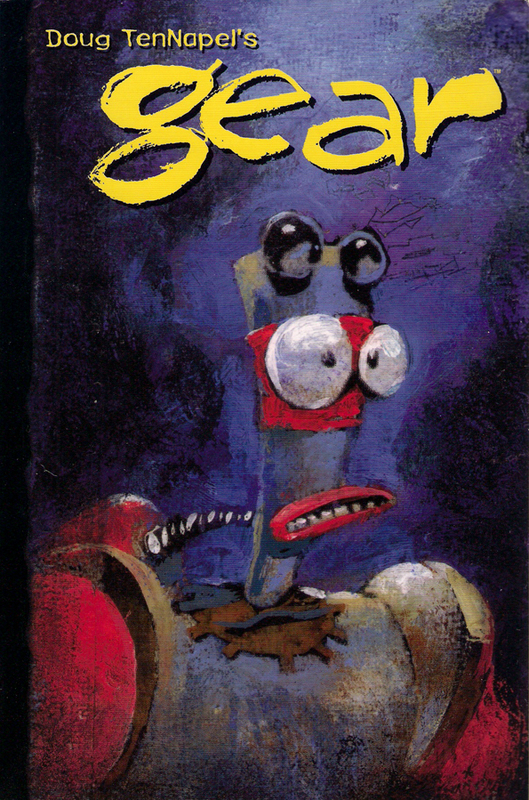 Doug TenNapel is an American cartoonist best known as the creator of the video game and cartoon character Earthworm Jim, which has now been turned into a very popular franchise. He has worked on various mediums over the years including cartoons, comics and games. 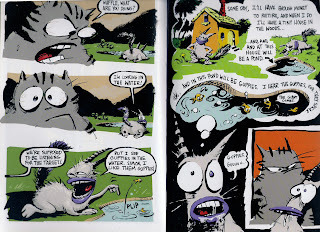 He designed the look of the adventure game The Neverhood and worked on the Nickelodeon cartoon Catscratch, which was very loosely based on this very comic. And most recently he worked on the internet live mini-series Go Sukashi! and Sockbaby. Gear takes place in a very unique fantasy world where there lives a lot of anthropomorphic animals. There, the various factions (species) are in wars over their borders. The cats in the south are trying to expand their land, while the dogs in the north are turning their defenses into offensive forces. Meanwhile an army of insects is preparing to invade both. The story follows a group of four cat "soldiers". Waffle, Mr. Black, Simon and Gordon. They aren't the smartest bunch of the cat troops but they've got heart and good intentions. One time they happen to high-jack one of the Guardians - mysterious robotic totems in the forms of either cats or dogs. But when things seemed to be going fine everything starts falling apart quickly... The troops are launched, the insects attack and our team gets caught in-between. There's also a mysterious artifact everyone seems to be after called "gear" which seems to have strange powers over the Guardians and our cats befriend one of the insects, Chee.